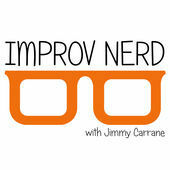 If you're a fan or practitioner of improvisational comedy and are not already clued into the Improv Nerd soundcast, hosted by Chicago improv stalwart Jimmy Carrane, you've got a lot of binge listening to catch up on. He's had a lot of improvisers on as guests, both sung and unsung, and although he often ends episode by doing an improvised scene with them, the show plays more like a take on Inside The Actor's Studio. Comedian and self-professed non-actor TJ Miller (Silicon Valley, Big Hero 6) doesn't end up doing any scene work with Carrane in the latest installment but he makes for a very entertaining guest nonetheless. No stranger to soundcasting (Cashing in With TJ Miller), Miller knows how to play the microphone, the host, and everything else in the room. He and Carrane have improv history and the host does a nice job setting his guest up to talk about how improvisation forms the basis of every role he takes on, be it for TV, movies, or voiceover. Without classic acting training, Miller points out that being in the moment is his key to finding the character and discovering what's happening in the scene, no matter if it's the audition or the role itself in production. And he's not alone, as he explains that both he and Silicon Valley co-star Thomas Middleditch (another Chicago improv veteran) rarely prepare or even diligently memorize each episode's script. There's lots of stories and comedic insight to be had in this hourlong chat. Podcastland has its well-known male monologists of the microphone: Bill Burr, Greg Proops, Marc Maron (in the upfront portion of WTF), etc. Less evident are the female soundcast hosts who can riff solo without a co-host or a guest to bounce off of during an episode. Which is why Juliette Miranda comes across as a refreshing difference. 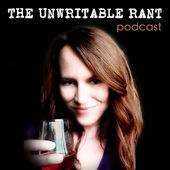 The author (Morning Neurosis), essayist, part-time misanthrope, and enthusiastic bourbon drinker (the beverage may count as a silent co-host in these transmissions), has a ballsy style in the rants she delivers. Covering several topics per episode, which tend to run around 20 minutes apiece -- a quick, breezy listen -- there's never a sense of a rant wearing out its welcome. In this latest installment, she talks about an annoying neighbor slipping in under her radar with a distracting pitcher of margaritas, followed by a fun tale from her teenhood where she accompanied her mother as she performed an impromptu exorcism for a drug-addled friend who thought Satan was in her closet. In addition to his weekly contributions to This Week In Comedy Podcasts for Splitsider.com, Marc Hershon is the host and executive producer of Succotash, The Comedy Soundcast Soundcast, featuring clips from comedy soundcasts (nee podcasts) from across the Internet as well as interviews with podcasters, comedians, and assorted show biz folk.